After being introduced to someone for the first time with the customary “How do you do?” or something similar—particularly if the occasion will last long enough to merit some sort of conversation—what is one of the most commonly asked questions? If I gave you a couple of minutes to think about it, you’d probably come up with the answer (the question). But since time is precious, let’s get right to it. Some of us may be a little more direct. Some people are just nosy and others use this question as an ice-breaker, but I think most people are sincerely interested in what others do for a living. The underlying source of wanting to know is the fact that men and also women—because of cultural and economic changes beginning mostly in the 20th century—have had to work for a living, ever since our original ancestors decided that living virtually labor-free in paradise (everything provided) wasn’t good enough for them. How long has it been since you read the account of creation, Adam and Eve’s fall from innocence, and the repercussions of their free-will decision to do the one thing they weren’t supposed to do? You’ll find it in the first three chapters of Genesis, which sets the stage for God’s Biblical plan of salvation and full-circle restoration to a joyous everlasting life with God, instead of a horrible eternal existence apart from him. Our original two ancestors would still be alive today and would still be reveling in a picture-perfect world when God created them, had they believed that what God had said was true. A paradise passed on to their children and children’s children as an inheritance in perpetuity. Instead, they were banished from the Garden of Eden. “Since you listened to your wife and ate from the tree whose fruit I commanded you not to eat, the ground is cursed because of you. All your life you will struggle to scratch a living from it … By the sweat of your brow will you have food to eat until you return to the ground from which you were made. For you were made from dust, and to dust you will return” (Genesis 3:17-19). Down through the ages there have been a few (very few) who were born into an affluent heritage, who did not have to, start from scratch. Whose toughest decision each morning was, “What shall I do today?” But even they had to work in some way or another to keep that inheritance intact. 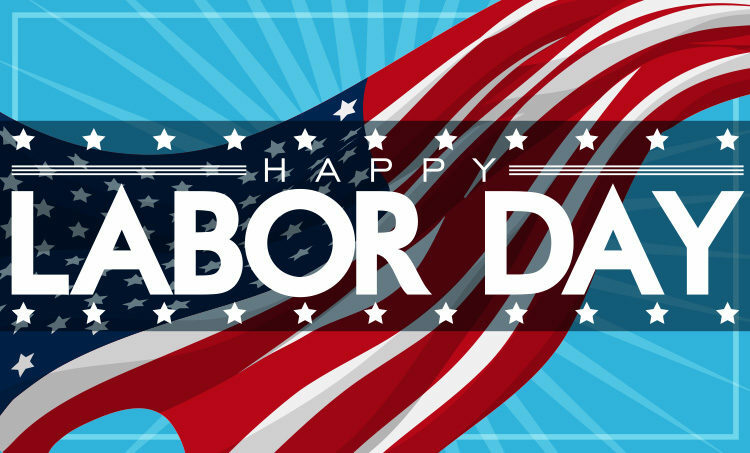 “The sweat of your brow” can also be the mental and emotional lather that goes with the strain of what we call white-collar work. Who among us would turn down an inheritance from Andrew Carnegie, John D. Rockefeller, Warren Buffet, or Bill Gates (pick your favorite billionaire), had we been born into such a family? Yet, who among us could guarantee that there’s no way we would squander such a fortune? History is replete with children or grandchildren who—through mismanagement, self-indulgence, or just plain laziness—lost everything that had been handed to them on the proverbial silver platter? Or, the flip side: heirs of wealthy estates who padded their fortune by inconsiderately or even ruthlessly trampling on the rights of others, especially the less fortunate. However, the Bible promises an everlasting inheritance that can’t be corrupted, compromised, or otherwise forfeited. That’s possible because believers (beneficiaries of the inheritance) have a benefactor who arose from the dead and lives forevermore to guarantee that inheritance will never be lost for any reason whatsoever. As opposed to all other benefactors who remain in their graves, and have no control over what eventually happens to their estate. “And this is God’s plan: Both Gentiles and Jews who believe the Good News share equally in the riches inherited by God’s children. Both are part of the same body, and both enjoy the promise of blessings because they belong to Christ Jesus” (Ephesians 3:6, italics for emphasis). Although we normally think (or hope) of an inheritance in terms of wealth, in order for someone to inherit anything, two basic conditions must exist: (1) the benefactor must first die in order for the beneficiary to receive ALL of what has been bequeathed to them. (2) The heir must be born into the family or adopted or otherwise designated by the patron. God, who created everything (including human beings in his image) and who owns the entire domain of the heavens and earth, sent his Son, Messiah Jesus to die for us, thus meeting the first requirement. This substitutionary sacrificial atoning death was absolutely necessary in order for God’s “estate planning” to be legally implemented and binding in light of his very essence—holy, righteous, just, but also gracious, loving, and merciful. “…For by the power of the eternal Spirit, Christ offered himself to God as a perfect sacrifice for our sins. That is why he is the one who mediates a new covenant between God and people, so that all who are called can receive the eternal inheritance God has promised them. For Christ died to set them free from the penalty of the sins they had committed under that first covenant. Now when someone leaves a will, it is necessary to prove that the person who made it is dead. The will goes into effect only after the person’s death…” (Hebrews 9:14-16, italics for emphasis). Being physically born does not automatically qualify us to be children of God; nor does any amount of good works. Salvation is by faith and faith alone in God’s New Covenant of Grace (Ephesians 2:8-9). “… I tell you the truth, unless you are born again, you cannot see the Kingdom of God … Humans can reproduce only human life, but the Holy Spirit gives birth to spiritual life. So don’t be surprised when I say, ‘You must be born again’” (John 3:3, 6 & 7). When we’re born again, we immediately become adopted children of God. The New Testament was written during the height of the Roman Empire. One of the powerful privileges afforded by Roman law and custom were the rights of an adopted son or daughter into a Roman family. They had equal, sometimes greater rights than natural-born descendants. Once adopted, the person became an heir of the estate. So it is with being a child of the Most High God. “For you are all children of God through faith in Christ Jesus … There is no longer Jew or Gentile, slave or free, male or female. For you are all one in Christ Jesus. And now that you belong to Christ, you are true children of Abraham. You are his heirs and God’s promise to Abraham belongs to you” (Galatians 3:26-29). “So you have not received a spirit that makes you fearful slaves. Instead, you received God’s Spirit when he adopted you as his own children. Now we call him, ‘Abba, Father.’ For his Spirit joins with our spirit to affirm that we are God’s children. And since we are his children, we are his heirs. In fact, together with Christ we are heirs of God’s glory. But if we are to share his glory, we must also share his suffering” (Romans 8:15-17). “Yes, Adam’s one sin brings condemnation for everyone, but Christ’s one act of righteousness brings a right relationship with God and new life for everyone. Because one person disobeyed God, many became sinners. But because one other person obeyed God, many will be made righteous … So just as sin ruled over all people and brought them to death, now God’s wonderful grace rules instead, giving us right standing with God and resulting in eternal life through Jesus Christ our Lord” (Romans 5:18-21). Not only do we become joint-heirs with Christ when we are reborn spiritually, we are also “recreated” with a new nature … a new species as it were. “Therefore if any man be in Christ, he is a new creature; old things are passed away; behold, all things are become new” (II Corinthians 5:17, King James Version). It is a creation that will culminate one day (soon) with an unperishable spiritual body (I Corinthians 15), yet a body still possessing the five physical senses (and more!). Using today’s jargon, it will be an “extreme makeover” of who and what we are. But the finality of this new creation won’t happen until the resurrection of those who have died in Christ and the transformation of those alive in Christ at the Rapture. “For all creation is waiting eagerly for that future day when God will reveal who his children really are … with eager hope, the creation looks forward to the day when it will join God’s children in glorious freedom from death and decay … for we long for our bodies to be released from sin and suffering. We, too, wait with eager hope for the day when God will give us our full rights as his adopted children, including the new bodies he has promised us. We were given this hope when we were saved…” (Romans 8:19-24). The nanosecond we accept Messiah Jesus as Personal Savior, we are reborn from above and HAVE eternal life. Right then and there we become adopted children of God, with all rights of the inheritance given to us by God. “And this is what God has testified. He has given us eternal life, and this life is in his Son. Whoever has the Son has life (present tense, right at that time); whoever does not have God’s Son does not have life” (I John 5:11-12, parenthesis mine). In order for our existence to be literally and physically eternal, we must first receive the extreme makeover (spiritual) bodies that will equip us to live forever, beginning with the thousand-year reign on earth with our Messiah. “God’s purpose was that we Jews who were first to trust in Christ would bring praise and glory to God. 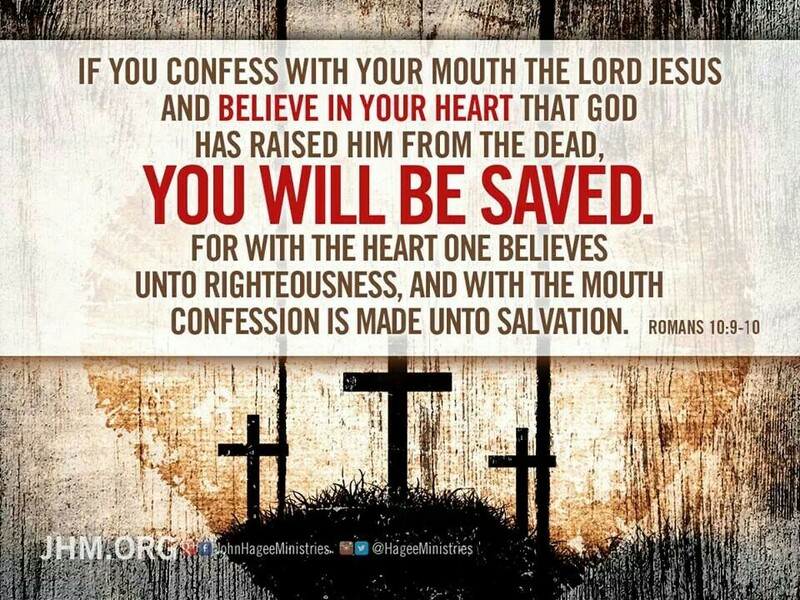 And now you Gentiles have also heard the truth, the Good News that God saves you. And when you believed in Christ, he identified you as his own by giving you the Holy Spirit, whom he promised long ago. The Spirit is God’s guarantee that he will give us the inheritance he promised and that he has purchased us to be his own people. He did this so we would praise and glorify him” (Ephesians 1:12-14). Scripture is replete with the awesome inherited benefits bestowed on believers in the form of promises. They fall into three basic categories: (1) those given to us as we grow in the grace and knowledge of Christ while still in our earthly bodies; (2) those we will possess when the Day of the Lord begins at the Rapture and continues through the Millennium, indeed, throughout eternity; (3) those available and applicable both now and after the Rapture. Today we’re focusing on Category #2. “All praise to God, the Father of our Lord Jesus Christ. It is by his great mercy that we have been born again, because God raised Jesus Christ from the dead. Now we live with great expectation, and we have a priceless inheritance—an inheritance that is kept in heaven for you, pure and undefiled, beyond the reach of change and decay” (I Peter 1:3-4). “The Scriptures tell us, ‘The first man, Adam, became a living person.’ But the last Adam—that is, Christ—is a life-giving Spirit. What comes first in the natural body, then the spiritual body comes later. Adam, the first man, was made from the dust of the earth, while Christ, the second man, came from heaven. Earthly people are like the earthly man, and heavenly people are like the heavenly man. Just as we are now like the earthly man, we will someday be like the heavenly man” (I Corinthians 15:45-49). The resurrection of Jesus Christ from the dead is the heart and soul of the Christian faith. If Christ had remained in his grave, then there would be no redemption, no forgiveness of sin, no pardon for the penalty of sin, no resurrection of the dead, and no hope of eternal life. Listen to the Apostle Paul earlier in this same chapter. He is talking not only to the Corinthians but also to millions upon millions in today’s world who trivialize or doubt or deny outright that Jesus arose from the dead, or who don’t believe in a bodily resurrection from the dead. “But tell me this—since we preach that Christ rose from the dead, why are some of you saying there will be no resurrection of the dead? For if there is no resurrection of the dead, then Christ has not been raised either. And if Christ has not been raised, then all our preaching is useless, and your faith is useless. And we apostles would all be lying about God—for we have said that God raised Christ from the grave” (I Corinthians 15:12-15). Then he says, “But in fact, Christ has been raised from the dead. He is the first of a great harvest of all who have died” (Verse 20). After his crucifixion and burial, Jesus of Nazareth was seen by all of the apostles (including Paul on his way to Damascus), plus hundreds of other people. It never ceases to amaze me why so many people deny or even doubt the resurrection of Jesus Christ. If they’re going deny this historical event, then they need to be consistent and also refute countless other historical records, such as the existence of the Roman Empire and Roman Caesars. If they maintain that Jesus didn’t arise from the dead (or if he did, it means nothing to them—thereby, ignoring the very reason that Jesus died in the first place … to save them from their sins); then they must also claim, for example, that Caesar Augustus was never a Roman emperor. Moreover, Jesus was not seen after his resurrection as some ethereal spirit hovering here or there or somewhere in the air. Because Jesus had clearly explained to his disciples that he would be put to death by crucifixion, buried, and rise again the third day, they shouldn’t have been so amazed when they saw him on that Sunday. But they were. However, their astonishment was more than seeing Jesus alive. It was how Jesus appeared to them—not only in bodily form but suddenly and inexplicably in their midst in a room secured by locked doors. “Eight days later, the disciples were together again, and this time Thomas was with them. The doors were locked; but suddenly, as before, Jesus was standing among them. ‘Peace be with you,’ he said. Then he said to Thomas, ‘Put your finger here, and look at my hands. Put your hand into the wound in my side. Don’t be faithless any longer. Believe!” (John 20:26-27). There’s no record that Thomas ever touched Jesus. He didn’t need to. The evidence of Jesus standing right in front of him was so overwhelming that Thomas immediately exclaimed, “My Lord and my God!” (John 20:28). “Suddenly, their eyes were opened, and they recognized him. And at that moment he disappeared!” (Luke 24:31). What happened is crystal clear, as both the words and the exclamation point at the end of the sentence reinforces: Jesus simply vanished in front of them, yet they had seen him in his physical body. 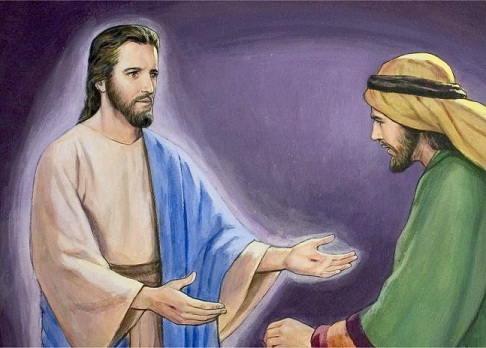 The two men hurried back to Jerusalem to tell the disciples. “And just as they (the two men) were telling about it, Jesus himself was suddenly standing there among them. ‘Peace be with you,’ he said. But the whole group was startled and frightened thinking they were seeing a ghost! ‘Why are you so frightened? … Look at my hands. Look at my feet. You can see that it’s really me. Touch me and make sure that I am not a ghost, because ghosts don’t have bodies, as you see that I do.’ As he spoke, he showed them his hands and feet. “Still they stood there in disbelief, filled with joy and wonder. Then he asked them, ‘Do you have anything here to eat?’ They gave him a piece of broiled fish, and he ate it as the watched” (Luke 24:36-43, parenthesis mine). Their wonder was twofold: Jesus, himself was there. His body bore the wounds that led to his death, but he was no longer dead! Nor would or could he ever die again. He was the same, but he was different. They could see him, hear him, touch him, and watch him eat! Yet, he appeared to them from another dimension. Soon they and all believers would understand, especially after Paul wrote about the new resurrected spiritual body given to their Lord and someday to all believers in Messiah as we find in I Corinthians 15 and I Thessalonians 4. We will pass through such things as doors, without opening them … if we choose! We will move effortlessly, and travel at whatever speed is given to us by our great and glorious God. At the speed of light, perhaps even the speed of thought. One moment we’re here, and then we’re there. Or, at a slower speed to take in all the sights and sounds as we go mountain-hopping on earth or star-hopping in the heavens. I’m convinced that we will be able to actually fly if we choose, and not in an airplane or spaceship! Beyond what we know about our Lord’s glorified body, I don’t want to speculate too much. We’ll find out soon enough, because I’m convinced that the Rapture will occur any day, but no longer than a few years. Besides, who doesn’t like (pleasant, delightful) surprises? Our reconstructed bodies will be full of surprises! Wonders that will thrill us … well, forever. But know this: We will be indestructible with a new multi-dimensional body equipped to live forever. A body impervious to death, disease, deformity, fatigue, injury, pain, hunger, and thirst. Even Superman had his kryptonite! 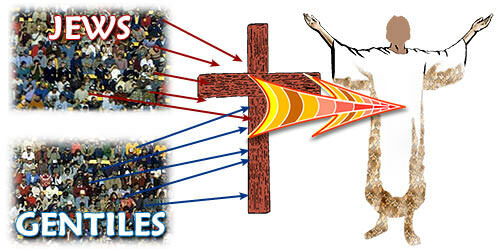 Please see Eye of Prophecy article: There’s Resurrection; And There’s Resurrection! Posted 3-19-16. “Then I saw thrones, and the people sitting on them had been given the authority to judge. And I saw the souls of those who had been beheaded for their testimony about Jesus and for proclaiming the word of God. They had not worshipped the beast or his statue, nor accepted his mark on their forehead or their hands. They all came to life again, and they reigned with Christ for a thousand years. “This is the first resurrection. (The rest of the dead did not come back to life until the thousand years had ended.) Blessed and holy are those who share in the first resurrection. For them the second death holds no power, but they will be priests of God and of Christ and will reign with him a thousand years” (Revelation 20:4-6, parenthesis in text). 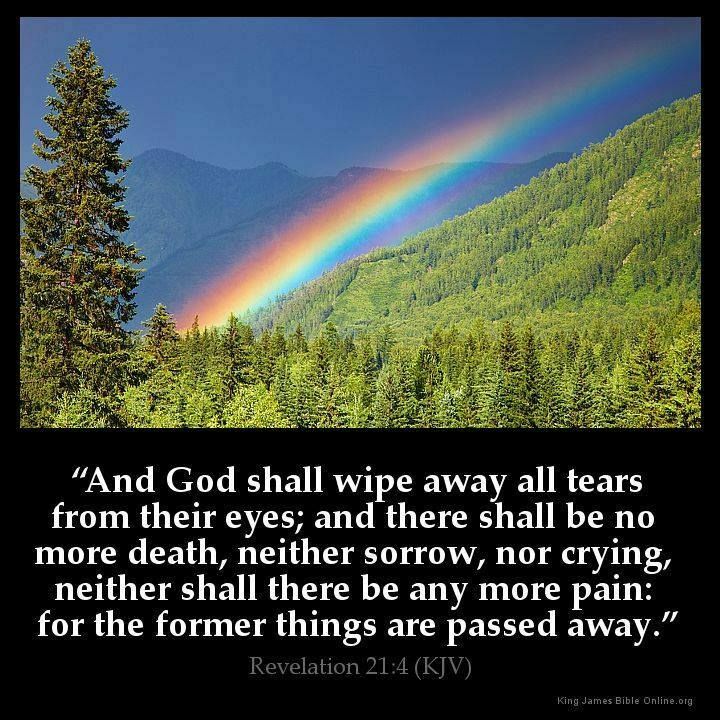 The parenthetical sentence in the above passage refers to all deceased unbelievers who will also be raised to life and appear before God at what is called, The Great White Throne Judgement (see Revelation 20:11-15). Sadly, they will then experience the second death—a perpetual horrific existence in the Lake of Fire. Those whom John said were given “the authority to judge,” are believers. This is an accurate conclusion because John refers to them as people (not angels or the four living beings) and immediately identifies those who will participate in the, “first resurrection.” The contextual connection is clear. First he identifies the Tribulation saints who had been martyred because of their faithful and courageous witness for Jesus Christ—those who had not succumbed to the enormous pressure of following the Antichrist. Then John switches to the other believers, “who share in first resurrection” (as opposed to the second resurrection of unbelievers at the end of the Millennium). Here he is referring to all pre-Rapture believers, both dead and living, who will be transformed into our heavenly bodies. Whether the people who had been given authority to judge consist of all believers or just those selected by the Lord for that purpose is unknown at this point in time. There will be responsibilities and activities assigned to all believers during the Millennium, yet not all may be judges as such. With our wonderful new spiritual bodies and minds and hearts, there will be no competition or complaints among believers as to who does what in the Kingdom of God on earth. Obviously, The Lord’s delegated duties to his people will be distributed perfectly; for example, like he assigned 72 pairs of disciples to preach the Kingdom of God during his ministry on earth. In our Millennial reign with Messiah as joint-heirs with him, we will all be priests of God and of Christ as quoted earlier. Indeed, as soon as we are born-again, we are given that privilege while still here on earth. Yet, that is for a short time and our “priesthood” is often limited and sometimes blemished because we are still fighting a spiritual battle with Satan, with the world, and with ourselves … our flesh and sin nature (See Romans Chapter 7). Not so in the Millennium. Our re-created spiritual bodies in Christ will enable us to praise, worship, and serve the Lord undefiled. But serve him we will, as opposed to the misconception of unbelievers and even some believers that Christians will have nothing better to do than drift along on clouds playing harps! Don’t get me wrong … there will be the most beautiful music imaginable in heaven! Or the misunderstanding that the Millennium will be absent any human imperfections … things that cause discord and conflict. 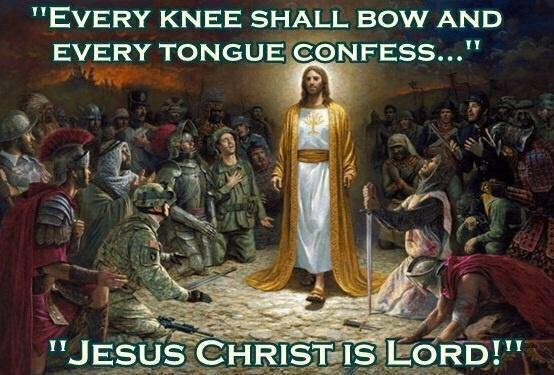 The first part of the Millennium will be near perfect, as even unbelievers still alive at the end of the Great Tribulation will acknowledge and bow down to Messiah Jesus as King of all kings and Lord of all lords. But slowly and surely, even though Satan will not be able to exert his influence on earth, people will once again rebel against God’s truth, even as Christ Jesus rules from Jerusalem. This will lead to the final battle of the ages, as found in Revelation Chapter 20. That is why Messiah Jesus, “…will rule them with an iron rod” (Revelation 19:15). In the letters to the seven churches found earlier in the book of Revelation, Jesus lists several privileges given to believers as part of our post-Rapture inheritance. Such as: “…To them I will give authority over all the nations. They will rule the nations with an iron rod and smash them like clay pots. They will have the same authority I received from my Father…” (Revelation 2:26-28). The type of strict administration conveyed by the imagery of an iron rod is only when absolutely necessary. For hundreds of years into the Millennium, the Kingdom of God on earth will unfold just as found in Jesus’s Sermon on the Mount (Matthew 5-7). One of dozens of characteristics of the Millennium that will be the rule, not the exception (just the reverse of today’s wicked world) is what is commonly called, the Golden Rule. Said Jesus: “Do to others whatever you would like them to do to you. This is the essence of all that is taught in the law and the prophets” (Matthew 7:12). Jesus taught about this Kingdom as one that should have been and could have been available when he came to earth the first time. But because he was rejected as the Messiah—the only One who could establish and administer such a Kingdom—the Kingdom of God would have to wait until his return in great glory and power. In the meantime, the Kingdom of Heaven has been established in the hearts and minds of individual believers the world over. Many of Jesus’s teaching and parables were about both Kingdoms. A few of these parables such as sowing and reaping explain that the responsibilities (authority) of believers during the Millennium will be proportional to their faithfulness to the Lord while we were on earth. The one most applicable to our subject at hand is found in Luke 19; the parable of the King and ten servants. Time/space will only permit a partial quote from that passage; nonetheless one that demonstrates the dynamics of Messiah’s entrustment to believers during the Millennium. ‘Well done!’ the king said, ‘You will be governor over five cities’” (Luke 19:15-19). I believe that the application of this parable (many of the Lord’s parables apply literally to the truth being disclosed by the imagery) will actually take place during the Millennium. If you are a believer in Messiah Jesus, you will share in his inheritance. Among other things, Jesus has inherited the nations of the earth and will begin his literal rule and reign over them upon his glorious return to Jerusalem. So, be prepared to be a “governor” or whatever position Jesus may give to you over a city or cities, or state or states, or whatever geopolitical sectors Jesus will create during his thousand-year reign on the earth. Or any other duty and responsibility he may have for you. “People from many nations will come and say, ‘Come, let us go up to the mountain of the Lord, to the house of Jacob’s God. There he will teach us his ways, and we will walk in his paths.’ For the Lord’s teachings will go out from Zion; his word will go out from Jerusalem. The Lord will mediate between nations and will settle international disputes. 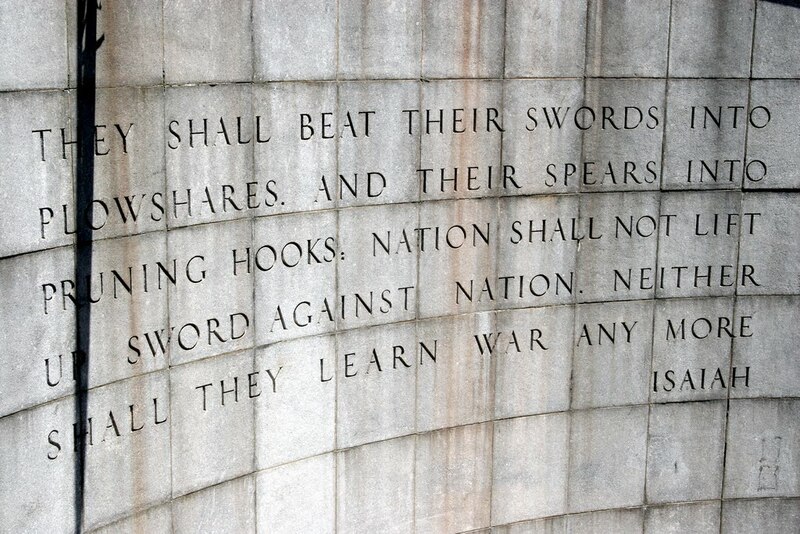 They will hammer their swords into plowshares and their spears into pruning hooks. Nation will no longer fight against nation, nor train for war anymore” (Isaiah 2:3-4). Our King will grant authority to believers—Jews and Gentiles alike—to be his assistants, ambassadors, emissaries, judges, administrators; and, when and where necessary, his disciplinarians (by the best and purest example of tough love) in establishing his extraordinary Divine Monarchy on Planet Earth. Although under different conditions, a parallel Old Testament precedent is when Moses, “…chose capable men from all over Israel and appointed them as leaders over the people. He put them in charge of groups of one thousand, one hundred, fifty, and ten. These men were always available to solve the people’s common disputes. They brought the major cases to Moses, but they took care of the smaller matters themselves” (Exodus 18:25-26). Where did we read about resolving disputes? Oh yes, Isaiah 2:4: “Settle international disputes.” The really big international disagreements will mostly be arbitrated by Jesus, himself. But there will be a whole planet full of more “common disputes,” that believers will handle. We will even judge angels! (I Corinthians 6:3). “The Sovereign Lord will show his justice to the nations of the world. Everyone will praise him! His righteousness will be like a garden in early spring, with plants springing up everywhere” (Isaiah 61:11). Jesus will rule the earth with a perfect blend of firmness and fairness. “His government and its peace will never end. He will rule with fairness and justice from the throne of his ancestor David for all eternity. The passionate commitment of the Lord of Heaven’s Armies will make this happen!” (Isaiah 9:7). The next verse is one that applies to believers both now and after we are transfigured at the Rapture (Category #3 listed earlier). “Now to Him who is able to do exceedingly abundantly above all we ask or think, according to the power that works in us…” (Ephesians 3:20, NKJV). Chances are, the problem will disappear as quickly as you appeared! That’s the kind of power and authority our Great God and Savior Jesus Christ graciously and generously shares with us as part of our inheritance in Him.